1) Does iRiffPort work with the Lightning Adapter? Yes! 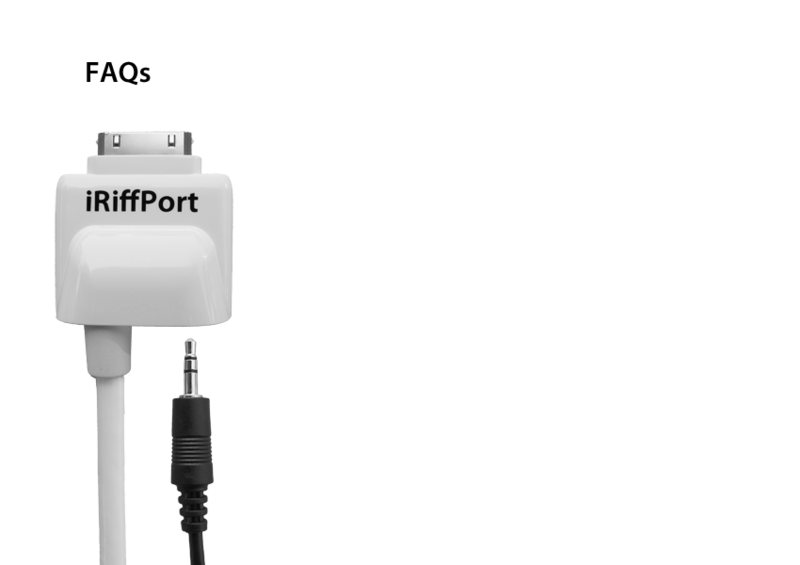 For iPad 4, iPhone 5, and iPod touch 5th generation, iRiffPort works with the Apple genuine Lightning to 30-pin Adapter. 2) Which Apps does iRiffPort work with? iRiffPort is Core Audio compliant and works with virtually all Guitar Apps including PocketAmp, PocketGK, and GarageBand. 3) Why is iRiffPort the best device for connecting my guitar? iRiffPort includes all the connections you need for practicing with instant setup and clean wiring. The recessed 30-pin dock connector fits through protective cases supporting all device orientations. 4) What is the difference between the headphones and line output? The headphones jack is located next to the guitar plug for easy access. The headphone volume is adjusted using the iPod volume up/down buttons. The line output is located near the dock and uses fixed volume for connection to powered speakers, mixer, PA, recording equipment, or amplifier. You can use either output, or both. 5) What if I have more questions? Contact our 24/7 support here.